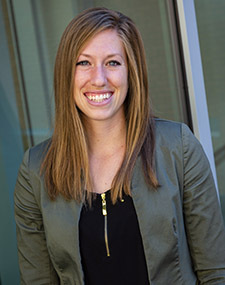 Shelby has an undergraduate degree in Business Administration with a concentration in Marketing from Eastern Oregon University. She is also finishing up her master's degree here at USU in Instructional Leadership in Higher Education with an emphasis in Student Affairs. She has been working on campus as a Staff Assistant since 2015, first with Utah Public Radio and then in the Chemistry & Biochemistry department. Shelby loves athletics and played college basketball and soccer. She has a sincere desire to work with students. She is married to her best friend and they enjoy traveling together to different sporting arenas.